„Il Gattopardo“ greets you – live in luxury like in the year 1860. 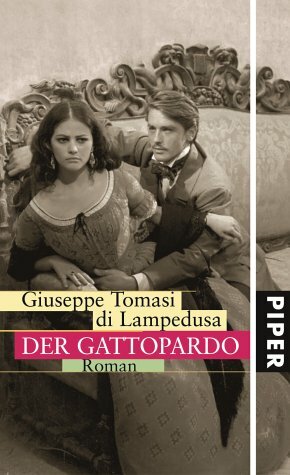 In his novel “Il Gattopardo” the author Guiseppe Tomasi (Prince of Lampedusa, Duke of Palma and Palermo, Baron of Montechiaro) partly dealt with his own family history. In almost the same manner the “high society” of the 1850s - a very important time for Sicily - used to live. Nowadays you can enjoy to the full this ambience. Exactly the same…or at least similarly “the better-off families of the Sicilian landed gentry” used to live in the very important times of political changes during the 1850s. Nowadays you can enjoy to the full this ambience. In Casa del Gattopardo time seems to have stood still since the 19th century. The charming situation of Casa del Gattopardo in a quiet lane at the periphery of Tripi provides for restful and extraordinary holidays. The charming atmosphere in the house or on the large terrace with mountain view contributes to it. Sheer relaxation, walks to all directions, trips to the many historical sites in Sicily, a day at the wonderful sandy beaches at the Northern coast just 20 minutes away – Casa del Gattopardo is perfect for it. … and after each return to this very special holiday home you will enjoy its atmosphere steeped in history. Entering the house to take photos for the website we at once were overwhelmed and immediately he came to our mind: the author Guiseppe Tomasi (Prince of Lampedusa, Duke of Palma and Palermo, Baron of Montechiaro) partly dealt with his own family history in his novel “Il Gattopardo”. Il Gattopardo (the leopard): a world famous novel and movie. 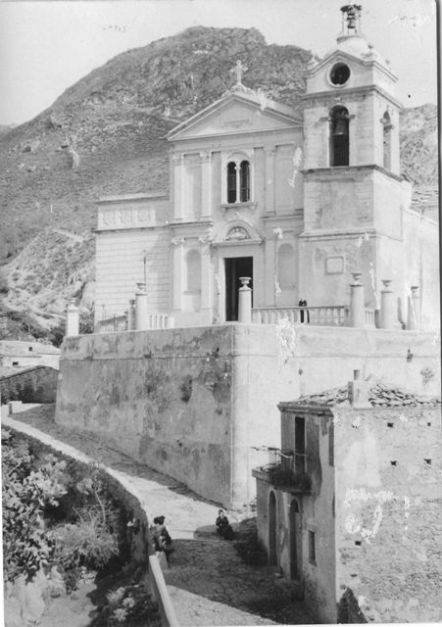 Eight chapters deal with the life of the Sicilian dynasty Salina from May 1860 to May 1910. The background are the political changes in Italy by Garibaldi`s rebellion in 1860 and thereby the social changes by the rise of the bourgeosie. The first chapters deal with every day life in the princely household between 1860 and 1862: a hunt, the handover of the lease in the manor house, a visit in a princely monastery, a dinner, the vain endeavour of the new rulers to offer the prince a position as senator, a festive ball in Palermo. The princely household moves from its palace in town to its summer residence Donnafugata in the countryside and here the Prince`s nephew Tancredi who was involved in Garibaldi`s rebellion falls in love with Angelica. Angelica is the daughter of the clever and new-rich citizen Don Calógero not yet having the manners of the former ruling class. …in case you have not yet read the book you really should do it! The Leopard (original title: Il Gattopardo) is a French-Italian movie taken by Luchino Visconti in 1963 and based on the novel Il Gattopardo by Giuseppe Tomasi di Lampedusa. The movie taken with much effort is said to be a master piece of cinematic art. ...and to nice evenings by the fireplace. 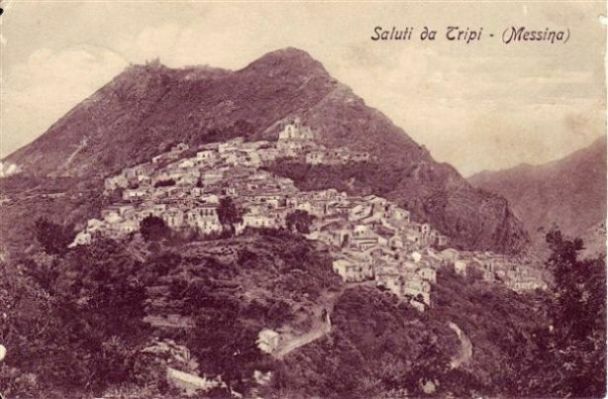 Tripi – (950 inhabitants) is situated 70km West of Messina. The inhabitants mainly farm. The neighbouring communities are Basicò, Falcone, Francavilla di Sicilia, Furnari, Mazzarrà, Sant`Andrea, Montalbano Elicona and Novara di Sicilia. The nearby mountain villages Montalbano Elicona and Novara di Sicilia are among the 100 most beautiful villages in Italy. To the Nebrodi-Nature Reserve – an especially nice hiking area- it is only some kilometres. Tindari and its Greek Theatre and the Church of Pilgrimage (Black Madonna) as well as the just beyond lying Laghetti di Marinello – a Nature Reserve as well and Sicily`s most beautiful sandy beach – you reach in 20 minutes by car. Destinations like Taormina, Cefalù, the Etna or the Gorge of Alcantara you reach in a ca. 1-hour-drive, too.